Health check ups should not be neglected. 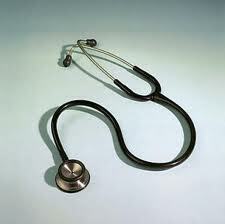 It is very important for every person to see their doctor regularly. You should have yourself examined annually so that a physician can check your medical condition and advise you on health tips accordingly. Many people overlook this. However, regular check ups help you stay healthy, and if you have any symptoms it can be controlled if diagnosed in time. Minor injuries or conditions can be treated before they turn into big problems such as shin splints or asthma. Preventive care is a key component of the health and fitness puzzle. Review your family health history. Are there any new conditions or diseases that have occurred in any of your close relatives since your last visit? If so, let your health care provider know. Find out if you are due for any general screenings or vaccinations. Have you had the recommended screening tests based on your age, general health, family history, and/or lifestyle? Write down a list of issues and questions to take with you. Review any existing health problems and note any changes. Have your eating or sleeping patterns changed, vision, lack of focus? So don't put off that annual visit to your doctor. Most conditions that are diagnosed in time are treatable. To return from the health check page to the Fitness Tips page click HERE. Do you have a comment about this? Share it!